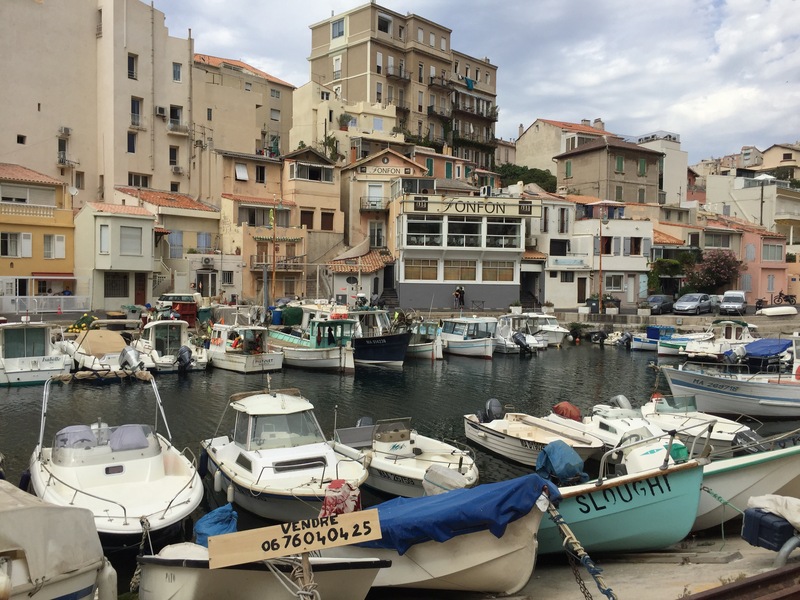 The Vallon des Auffes is a little fishing haven in the 7th arrondissement of Marseille. It is situated 2.5 km south-west of the Vieux-Port. In Vallon des Auffes you find Chez Fonfon but also Chez Jeannot a more relaxed restaurant with a fantastic view over the little fishing haven. The prices are low and the service very good. Many locals come here to enjoy the evening. If you’re not in the mood for seafood, La Côte De Boeuf is an excellent choice. Grilled veal kidney, tartar, beef fillet and the house specialty côte de boeuf served with a choice of very delicious sauces. Also duck, chicken and pork dishes. The meat is prepared the old fashioned way, slowly roasted over a wood fire. La Côte De Boeuf is famous for its extensive wine list with more than 1200 bottles from all over the world. At the heart of the city of Marseilles in the Vieux Port, you find Grand Tonic Hotel. Contemporary design, 56 rooms, 16 rooms with a view over the port. Perfect place to stay i Marseille. This casually elegant restaurant offers view over the sea and some of the finest seafood cooking in the south of France. Chef Guillaume Sourrieu works exclusively with the local small boat catch of the day to create signature dishes. Shrimp terrine, slow cooked sea bass, local seafood stews and soups, bouillabaisse, bourride and more. Fish market at the port of Marseille. There is a special atmosphere at the fish market with the smoking and hoarse men who shout about cheap and fresh fish. It is a very small market, only a few stalls, but worth a visit. At the Vieux Port you find Chez Madie Les Galinettes. Provençal specialities, both fish and meat. Contemporary art on the walls and a terrace out front and the best of Marseille on your plate. Delicious fish dishes. The daube beef in wine is the best in Marseille. Bouillabaisse dates back to the founding of Massalia by the Greeks and was originally a popular dish. The fishermen between Marseille and Toulon boiled a pot in which they put the unsold or damaged fish. This fish soup has been improved over time to become a real gourmet dish. Chez Fonfon is said to make the best bouillabaisse. The bouillabasse I had at Fonfon was very delicious and the view is fantastic. The best I have ever had. My advice is to book a table.